The Perception Integration team are close to completing a very complex and bespoke project for ABB Global. 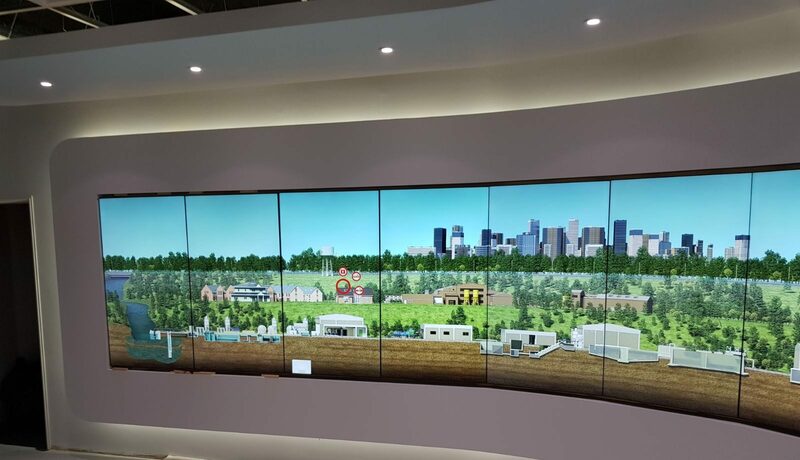 We have created Europe’s 1st curved 9×1 metre video wall, which is fully touch enabled on the entire display canvass. The animated content is displayed in landscape, and the video wall monitors are installed in portrait orientation. The team have encountered many challenges with this bespoke project, however this came as no surprise as we knew we were in for some fun considering the scale and uniqueness of this project! We have now managed to achieve the touch on the curve and are addressing further issues with another application on fully transparent glass projection, again with full touch and interactivity. Make sure that you have a look at the case study which will be published soon. This will include a full video tour of the space.